Anne Anderson was a contributor to the stream of thinking and effort that gave birth to evidence-based health care. 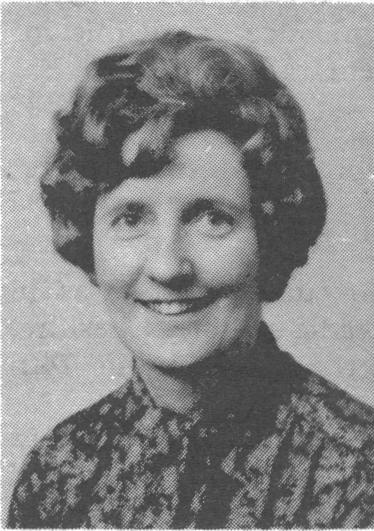 A clinically qualified reproductive physiologist, Anne had an active interest in women’s health, co-editing the first edition of Women’s Problems in General Practice (1983) with Ann McPherson. Anne also contributed to Effectiveness and Satisfaction in Antenatal Care (1982), edited by Murray Enkin and Iain Chalmers, and was discussing, with Marc Keirse and Iain Chalmers, the possibility of co-editing a companion volume on elective birth. However, her premature death from breast cancer in 1983 ended her involvement. Iain Chalmers, Murray Enkin and Marc Keirse went on to publish Effective Care in Pregnancy and Childbirth (ECPC) in 1989, dedicating the book in part to Anne. ECPC, through its systematic approach to assessing the research literature, is widely acknowledged to have led to development of a similar project for all of medicine and health: The Cochrane Collaboration. Anne Anderson was 46 years old when she died. In the footsteps of Anne Anderson, many outstanding women continue to contribute and inspire other women to improve health knowledge for the good of their communities. Often these women are quiet achievers who might not otherwise be recognized. The goal of the Anne Anderson Award is to recognize and stimulate individuals contributing to the enhancement of women’s visibility and participation in the Cochrane leadership. The award is given to a member of The Cochrane Collaboration who has contributed meaningfully to the promotion of women as leaders and contributors to the organization. The establishment of the Award was approved in principle by The Cochrane Collaboration Steering Group in 2010, and was awarded for the first time in 2011. At its meeting in Split in March 2011, The Cochrane Collaboration Steering Group agreed to contribute GBP $1000 from core funds, per year, for three years towards the newly established Anne Anderson Award. Additional donations may be made via the 'Donate now!' button on the Collaboration website, earmarked 'The Cochrane Collaboration Anne Anderson Award'. Past or current active women members of The Cochrane Collaboration are eligible for the award. Recipients are selected based on the following criteria: emotional and cognitive intelligence, serving as an inspiration to others, evidence of cumulative accomplishment, originality and independence of thought, personal qualities, team building, leadership and mentorship. Consideration is also given in the selection process to the nominee’s contribution to, or enhancement of women’s visibility within the Collaboration, participation in The Cochrane Collaboration and other leadership, and other accomplishments within the context of The Cochrane Collaboration. The Cochrane Operations Unit issues the call for nominations via The Cochrane Collaboration’s mailing lists and CCInfo in the first week of April each year. Nominations may be made by anyone within The Cochrane Collaboration. Nominations, consisting of a one-page summary of the nominee’s involvement in The Cochrane Collaboration and how she meets the criteria listed above, should be sent to the Cochrane Operations Unit (cou@cochrane.org) with the name of the Award or Prize in the subject heading. A nomination should include specific examples of the person’s contribution to the enhancement of women’s visibility and participation in the Cochrane leadership. These contributions may include, but are not limited to, mentoring, training, encouraging, supporting and promoting women for their work in The Cochrane Collaboration, as well as serving as a role model and inspiration. Deliberate use of multiple nominators is discouraged. The Award recipient is announced at the annual Cochrane Colloquium. The recipient receives a plaque from The Cochrane Collaboration honouring her contributions. The cash award is designated by the recipient to assist a woman from a low-resource setting with her Cochrane Collaboration activities. Lisa Bero is the 2013 Chair of the Anne Anderson Award selection committee. 2012 - Award not made in 2012. 2011 - Caroline Crowther, Cochrane Pregnancy and Childbirth Group. More detailed information on the Award can be found here.